The business world has turned digital; In fact, if you do not have a responsive website or blog you are lagging behind the competitors in your business. Traditional marketing techniques of physically talking to your audience or potential customers are no longer effective; printing posters and hiring sales representatives is a thing of the past. Besides effectiveness with respect to sales, such marketing strategies are expensive so you need to spend extra time and money hence there is a need to consider a better alternative- Invest in a website. After investing in a professional website, the next step is to build your brand by increasing traffic and converting the numbers to sales. It can be overwhelming but you really have no better option. Irrespective of your business industry and niche, consumers expect to find your products and services online, competitors have the same resources, and opportunities hence there’s a definite need for a creative marketing strategy to increase sales. Here are some long term and short term digital marketing strategies you should consider. These techniques are often used to get a quicker result. 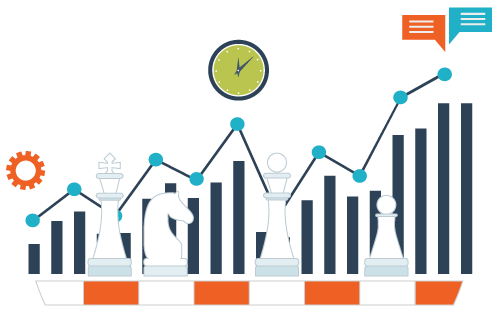 Short-term strategies result in a significant boost in sales but for a limited time. Paid advertising strategy is probably the fastest way to generate sales and traffic to your website. Common tools are Google Adwords and Facebook Lead Ads where an investor creates a link attached to a sensible investment idea. It is about attracting online users to the platform with a form of payment when they click on advertisements. You have probably clicked on several advertisements without your knowledge because of the attractive rewards presented. This is the easiest and reasonable way to generate traffic as a technique in online marketing. $300 is the standard or least investment in implementing the short-term strategy. Attending tradeshows exposes your company to a wide audience. You also have a chance to physically introduce your products and services to your target audience; Also, you are able to answer any queries from potential customers. Tradeshows give you a platform to explain why people should subscribe to your services; you have an opportunity to pick consumer reactions to each of your strategies and product types. Face to face interactions with the target audience is important for any business. Today, Companies incorporate landing pages and email marketing techniques to reach out to a wider audience. Tradeshows are no longer out in the field; you can interact with consumers over a given link and share your website as a lead to your products and services. 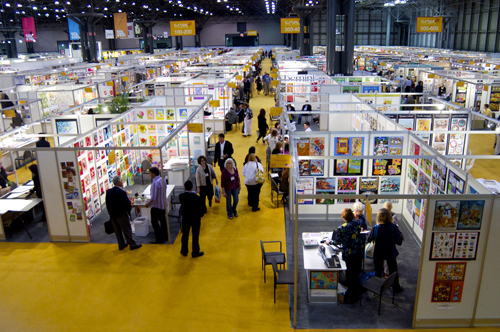 Tradeshows are characterized by promotions and offers, which attract customers. Gifts-on-purchase, referral incentives, and price discounts are modern digital techniques in boosting sales. The promotions and offers are made attractive by setting a time limit to increase urgency. Consumers tend to rush to make purchases and enjoy the discounts hence boosting traffic and sales over a short period. While short-term strategies are important for any business, they are temporary. You need to sustain the positive results through with long-term strategies. Success in online marketing is defined by targeting specific audience and frequency on search engine pages. This can only be realized through proper search engine optimization techniques. After settling on a niche, you have to identify keywords based on the type of your audience and how they search for products or services. Customizing content to suit a specific audience is the goal of SEO. There are billions of e-commerce websites and blogs meaning the competition is extremely high; you can easily be irrelevant. Search engine optimization increases visibility on search engine hence higher chances of sales. Also, you will no longer have to pay for advertising space on other platforms because search engines like Google present your company on top of its pages making it easily accessible to consumers. You also win confidence and trust with customers if you appear on top of Google first page. Social media platforms are increasingly becoming popular in the business world. It can be a short-term and long-term strategy. Quick results can be demonstrated from Facebook, Instagram, and Twitter because of the ease of access and graphics effect. Also, the platforms offer an opportunity to build networks and a huge following, which increases your chance of sales. It is not easy to gather 1000 likes on your Facebook page, it takes time and effort, but it pays in the long run. With huge followers on social media, you are sure to reach people three times the number because, with every follower, there is a network of friends who would view your post. The beauty of this long-term strategy is the cost element; you won’t spend a dime for the following years while the network will be generating sales. Customize your content not only to suit the current target audience but potential customers in the future. This is in relation with SEO techniques; All you have to do is identify keywords and tailor content around that in relation to your business. If need be, regularly update the content posted on your blog to match business trends. Companies who blog have 434% more indexed pages than those who don’t. That means more leads! The digital business world is more interesting and effective; however, you are still expected to work for your success. Marketing is irreplaceable in any business; you have to be creative and apply relevant techniques to rise above the flooding online world. Importance of User Experience In Your Business. Snapchat for Business: Should Companies Start using Snapchat?